The Romantic poets are often viewed as antagonistic to science. For example, Theodore Ziolkowski suggests in his article, “Science, Frankenstein, and Myth,” that the radical application of science practiced by the Romantic-era polymaths often became a “mindless pursuit of knowledge with no thought for social implications” (Ziolkowski 40). Such a view contrasts starkly with the Romantic ideal of championing the human imagination and its relationship to the natural world. Of course, the Romantic poets rebelled against the idea that science was the essential key to the continued happiness and evolution of humankind, as can be seen for example in Mary Shelley’s novel,Frankenstein (1818), where forgetting the natural order of things leads Victor Frankenstein to disregard the consequences of his experiments. Such examples have led Ziolkowski and others to the conclusion that the ideologies of Romanticism and science inherently clash—with artists and poets stereotypically seen as subjective and deeply indebted to aesthetics and natural philosophers craving organization and logic. This is not an unfair assumption, as the Romantic era has its origins, in part, in a rebellion against Enlightenment rationalism and positivism. However, once a broader perspective is taken in which Romantic-era science is viewed as encompassing such pursuits as ecology and geology one may come to different conclusions about the great Romantic authors’ views on the physical sciences. These poets had just as much admiration for the sciences as their contemporary natural philosophers. In fact, the Romantics placed much emphasis on promoting a holistic view of the natural world through a deep fusion of both aesthetics and science through poetic form. As a number of other contributors to The 18th-Century Common point out, Richard Holmes’ book, The Age of Wonder (Knopf, 2009) does a magnificent job of telling the life stories of the men and women who worked in Romantic-era natural philosophy and thus the origins of modern science. During the long-eighteenth century, the term “scientist” did not, of course, signify what it means today. Instead, these men and women simply followed their curiosities in chemistry, biology, physics, and exploration—and they were often referred to as “natural philosophers.” With the founding of the Royal Society in Britain, and due to competition with the French, an intense arms race began, as a number of parties wanted to make the next great discovery in natural philosophy. Holmes successfully connects Romantic science to Romantic literature in his work. He shows that the notion of “wonder” was a necessary component for both the great poets as well as the brilliant men and women of science. The fascination and admiration for the power and complexity of the natural world drove these individuals to create and discover poetry as well as scientific knowledge that laid the groundwork for future advances in science and technology. There are, however, certain gaps in Holmes’ work. In his prologue, Holmes states that although similar emotions connected the scientists and the writers, Romanticism is intensely hostile to science. However, such a view has been thoroughly undermined by recent scholarship in the field of Romantic studies. For example, Trevor H. Levere analyzes the life histories and works of the Romantic-era poets and eschews the idea that there is no link between the science of the time and the sublime poetry. According to Levere, the Enlightenment objectivity that Romantic poets found so disheartening was also felt by scientists to be loathsome (Levere 97). Levere shows that the poets were fascinated by the sciences, and that the scientists were passionate about the poetic sublime. 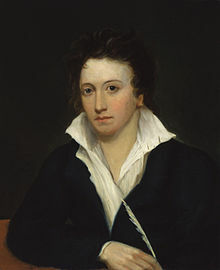 Percy Bysshe Shelley, a Romantic poet and radical revolutionary, is a perfect example of an individual championing a passion for both science and literature. Shelley did not see a reason to separate science from his poetry. Rather, he viewed them holistically. His notion of wonder covered both scientific exploration and writing about the aesthetics of nature, and his two passions can be seen as melded together seamlessly in his poem Mont Blanc (1817). Holmes’ lack of emphasis on scientists who embodied both Romantic literature and science is perplexing yet convenient for his argument. He separates the poets from the scientists, and he weakly links them by stating that the feeling of wonder was necessary to create literature and make discoveries. 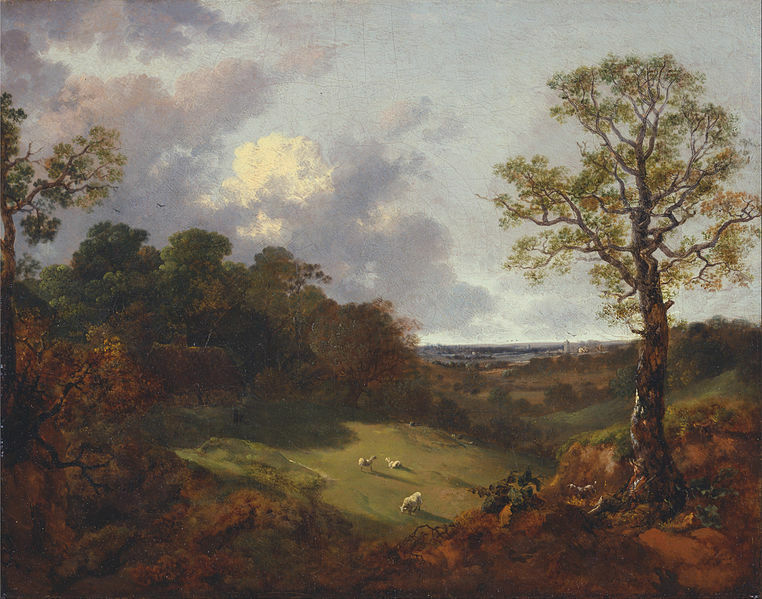 But, the Romantic era was much more complex than this—writers, explorers, chemists, and astronomers all reacted against the Enlightenment, and they asked their readers to view the world in an entirely novel way; they viewed the natural world holistically and appreciated its power, beauty, and mystery. For individuals like Shelley, there was no separation between the cultures of the literary societies and the Royal society, and perhaps this is why Holmes pays such little attention to the poet in his book. Shelley gives a geographical and topographic survey of the mountain while also musing on the terrifying power of the natural world, and he compares this to the insignificance of the human race. Shelley’s admiration for the mountain is clear, as he states Mont Blanc “yet gleams on high:—the power is there/ The still and solemn power of many sights,/ And many sounds, and much of life and death” (Shelley 127-129). For the poet, the natural world is perfect on its own—untouched by humans and an ideal representation of life and death. Shelley’s ideal of preserving an environment untouched by humankind has much in common with today’s environmentalist “green” movement. He was conscious of the negative effects that humans could potentially have on nature by objectifying it for the purposes of science. His obvious reverence for the natural world led him to believe whole-heartedly in what we would now refer to as “sustainability,” as it would be tragic if places like Mont Blanc were not to remain as inspirational to the human mind as a result of human interference. Shelley and his fellow Romantic authors channeled their wonder towards the natural world and the field of science into their poetry. While the scientists often aimed to use nature for their own benefit, making discoveries that could lead to wealth and fame, the poets believed in appreciating nature and exploring its power in a way that today we would say left a small carbon footprint. Levere, Trevor H. “Coleridge, Davy, Science and Poetry.” Nature Transfigured. Eds. John Christie and Sally Shuttleworth. Manchester University Press: Manchester and New York, 1989. Fraistat. New York: Norton, 2001. Ziolkowski, Theodore. “Science, Frankenstein, and Myth.” The Sewanee Review. Vol. 89, No. 1 (Winter, 1981): 34-56. Rebecca Kurzweil is a recent graduate of Union College where she majored in Biology and minored in English.